Each Wednesday night we are teaching on another one of the heros of the Bible. Join us for this mid-week gathering with a meal, some music, a message and meaningful conversation. Music & Message begins at 7:00pm. Children (ages 5-11) are welcome with a special fun program just for them. * Please enter through the front, wood doors. Come and grow in Christ and Biblical community. 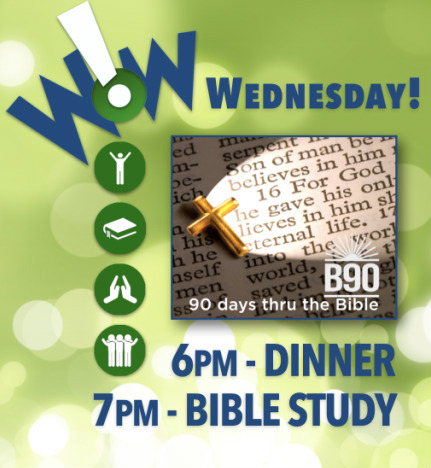 Meal served at 6pm and Bible Study at 7pm every Wednesday here at GT! Small group discussions and prayer times take place each night. All are welcome. Age-appropriate programs and discussions for Kids, Teens & Adults.